Hope everyone had a happy Thanksgiving and ate way too much food and enjoyed lots of family time. I did. 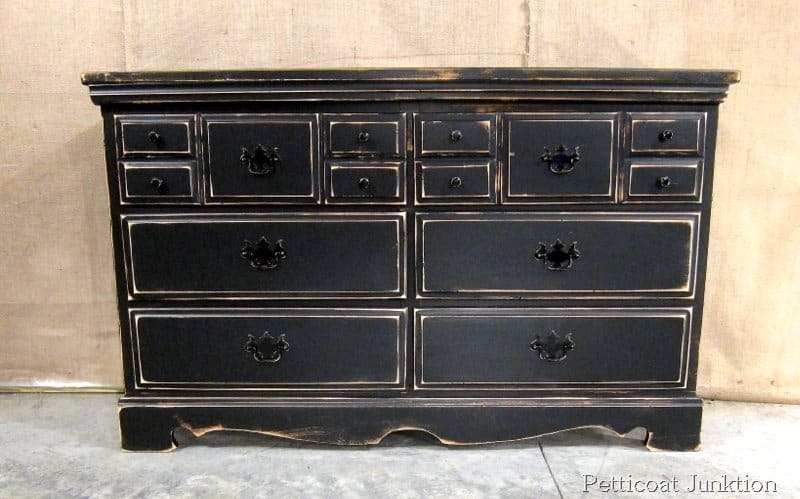 Now for Black Furniture Friday. 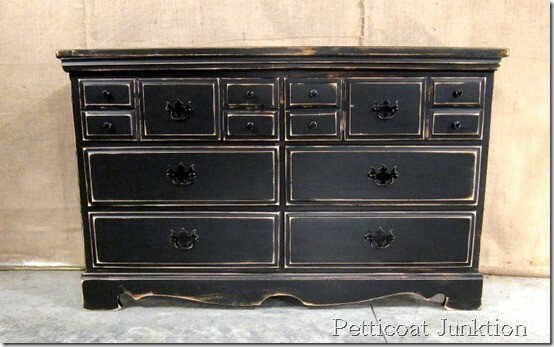 Actually Black Furniture Friday is the beginning of several posts featuring black furniture. I painted several pieces this week and just finished them all up. 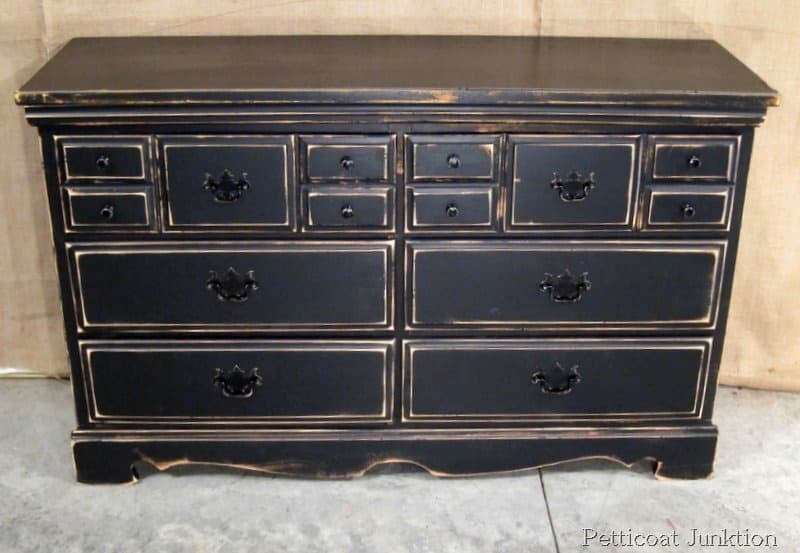 I love black furniture. I love bright colored furniture. It all depends on my mood. 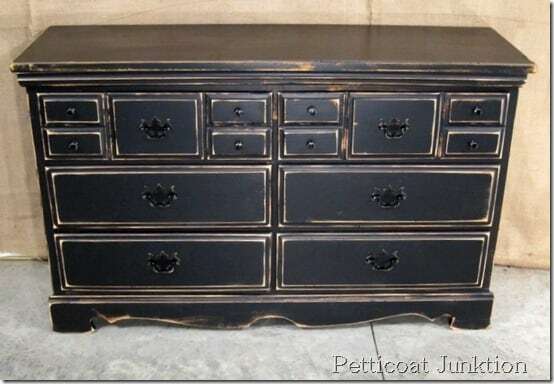 Black painted furniture is a favorite at the shop and I try to keep several pieces in stock. So this morning I will be delivering four new pieces to You Never Know. Enough chit-chat, on with the show…. 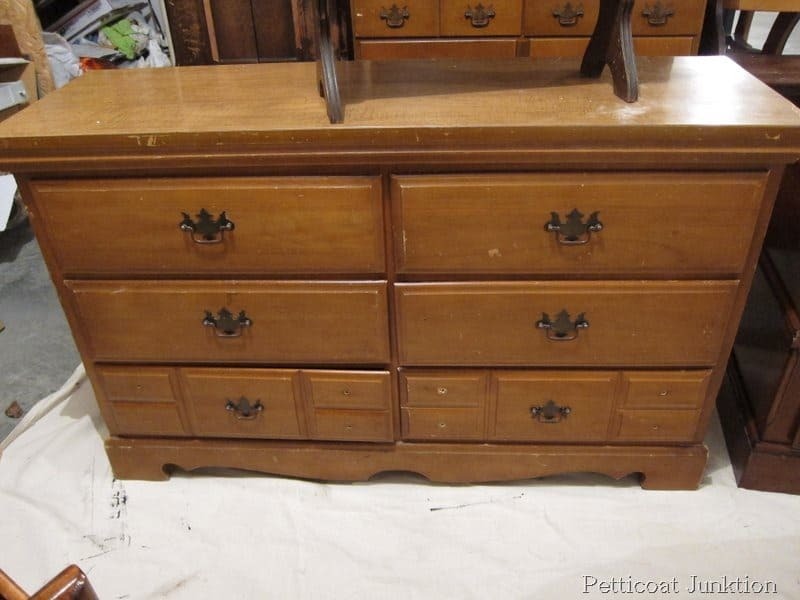 A nice wood dresser. Just the right width. I don’t care much for the longer dressers anymore. I purchased this piece at My Favorite Junk Shop. My favorite black paint, Reclaim in Licorice. I distressed this piece rather heavily. I just went wild with the sander. 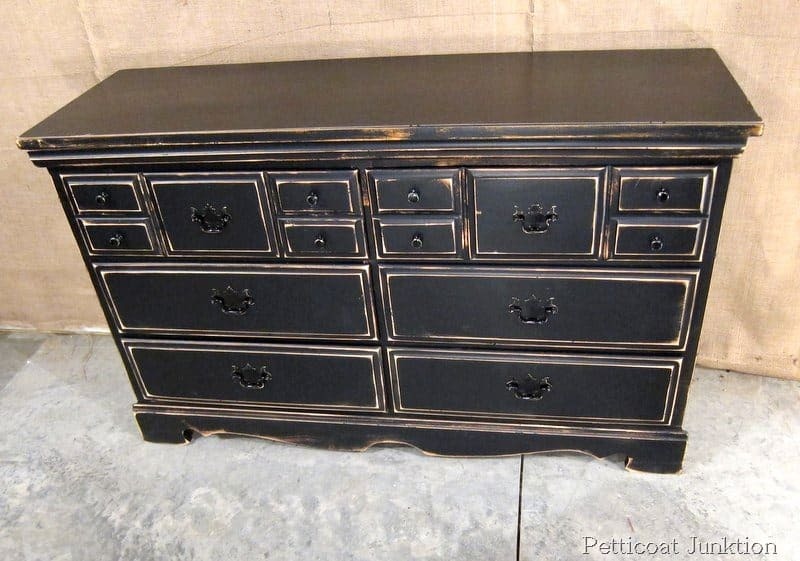 Do you guys like distressed furniture? I really, really do. I also like the black over other colors. Great looking piece. I like how you moved the bottom drawer to the top. It’s deceiving because it doesn’t look like they are the same height on the original! Love it! yeah, I think they had them in wrong when I bought them! ok. hard to believe this is the same piece! the details that emerge from paint are incredible! 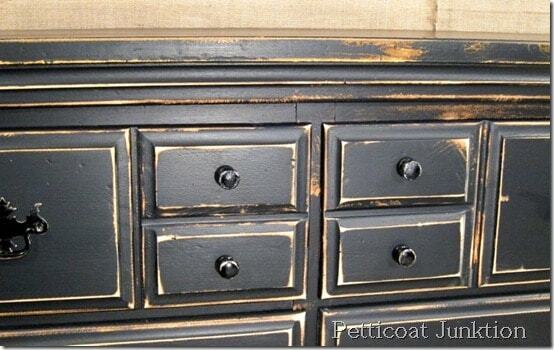 I love black furniture & I love heavy distressing! Beautiful! 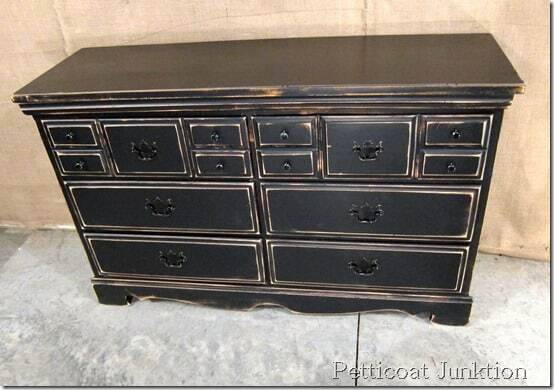 what a gorgeous dresser!!! i love the distressing!!! 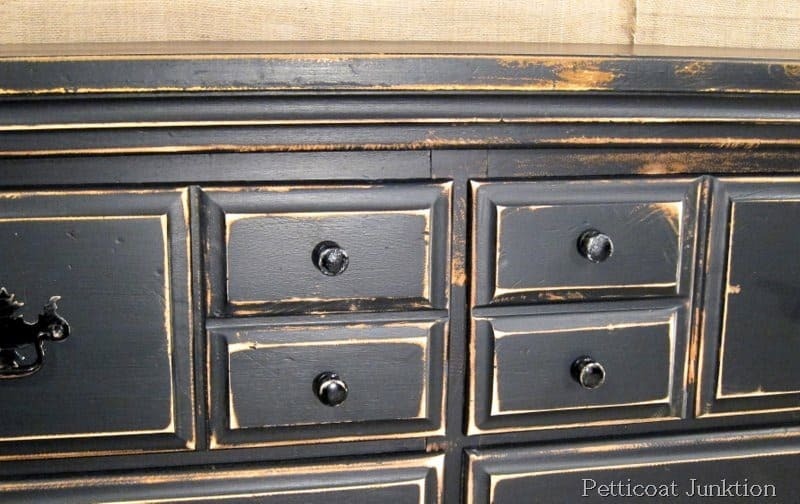 I love it – just the right amount of distressing. Can’t wait to see your other pieces. Julie, you would be surprised at how just taking the sander and going to town produces a great look. My friend Sara takes her time and tries to sand her pieces random but even!